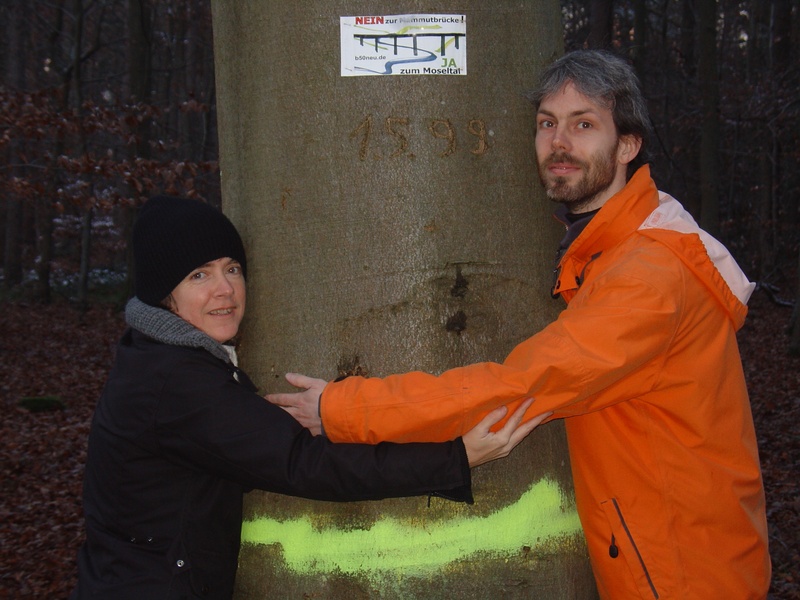 Scroll down further and have a look at the photo of Sarah and Knut protecting one of the threatened trees +++ I mean, who looks more sympathetic to you, the grey man in the grey suit who has just become the HYPOCRITE OF THE YEAR 2010 or my friends ? 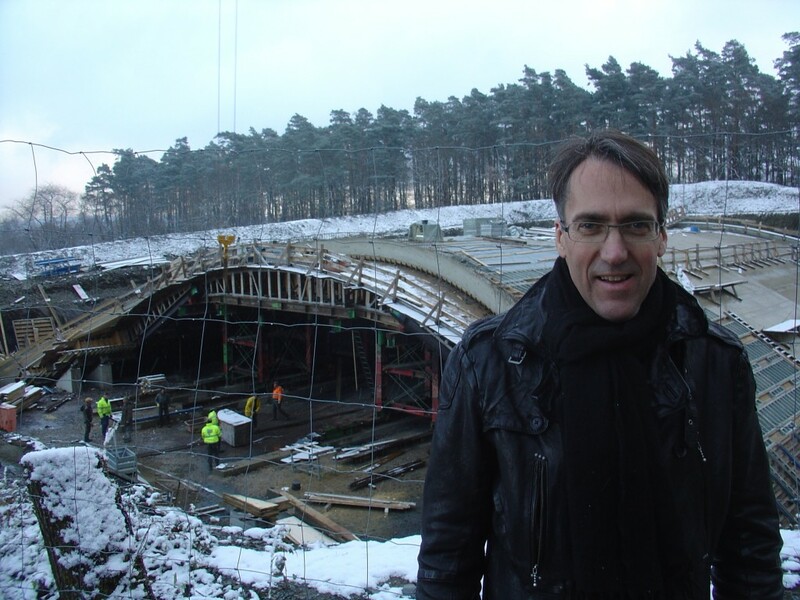 +++ Rumours also say that the tenders from construction companies for building the MOSEL BRIDGE all lie at or over 200 Million Euros; far above the 105 Million which the Herings ministry have planned for it +++ Where is all that extra money going to come from ? +++ I’d say that Friday was a very bad day for Hendrik Hering, but to be honest I don’t feel any sympathy, because his prize is well deserved and he knows it !